Nosgoth publisher Square-Enix has posted a new dev-blog that explores the game’s world, and the conflict between humans and vampires. 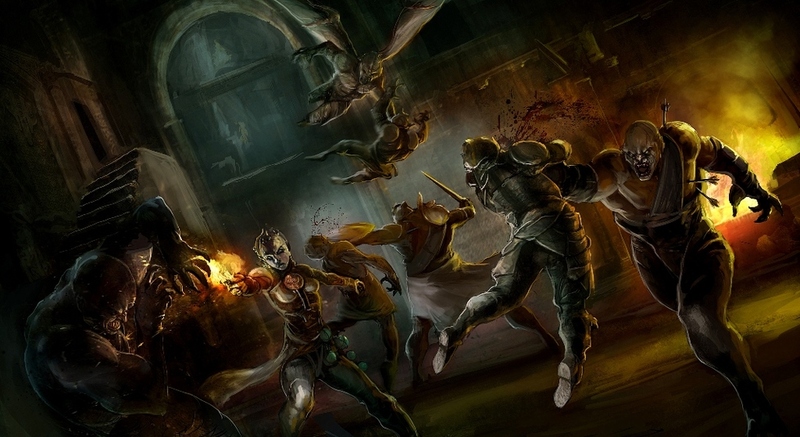 The post discusses the human’s crusade to expel all vampires from Nosgoth, only for Kain to step up to the plate and turn the tide against humanity. After Raziel’s adventures in the Soul Reaver series, Kain disappeared, leaving Nosgoth free for the vampire and human clans to wage war once more. This sets up the events of Nosgoth. It’s a free-to-play game set in a depiction of Nosgoth where humankind has started to rebuilt after Kain’s reign of terror comes to an end. As a purely competitive multiplayer game, it’s got a lot of fans curious as to how exactly it fits within the canon. Others want another single-player adventure. You can also check out the reveal trailer here.